1. Chill martini glass with ice and a little water. 2. Muddle thyme and a couple apple chunks together in a pint glass. 2. Add whiskey, spiced apple cider, thyme simple syrup and ice to the pint glass (if you are using a Boston Shaker ) or cocktail shaker and shake until frothy. 3. Dump ice water from and fill to the top with your cocktail, garnish with an apple slice. Perfect way to drink a little whisky! 1. In a small saucepan bring water, sugar and thyme to a simmer. Stir constantly until all sugar is dissolved. 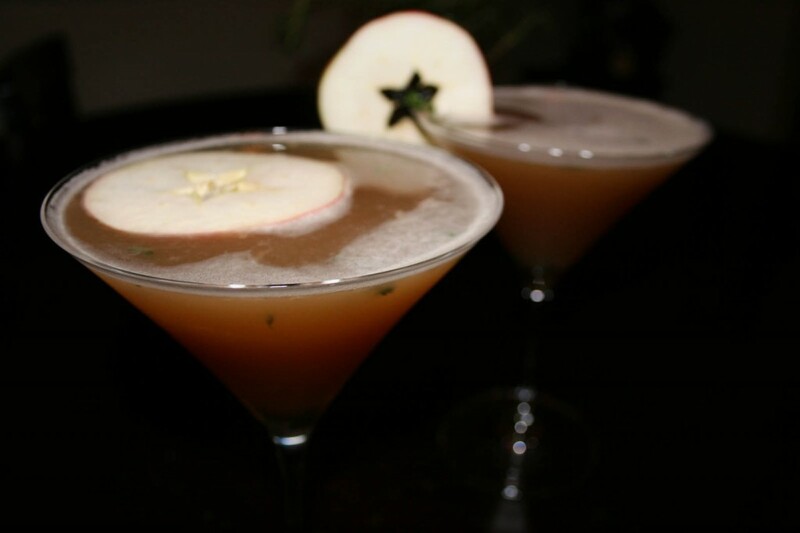 If you are using a plain apple cider try adding cinnamon, cloves, and allspice to the simple syrup to add a little fall flavor to your cocktail. Allow to cool before adding to your cocktail.